Pretty much since Twitter began, they’ve maintained a strict policy on keeping tweets to a 140 character limit, which has really helped allow the social media site to stand out among the crowd. As opposed to most other social media, Twitter’s limit has made them the premier website for quick, short and sweet updates about what someone is doing, what’s on their mind, what they’ve been up to, ect. But now, as it seems, Twitter is loosening the leash - albeit just a little. Because for the first time, Twitter has decided to no longer count the characters in members’ usernames toward the 140 character limit. The fact that now, Twitter excludes usernames from the limit is interesting because although 140 characters might not seem like much when someone is looking to add a simple update, those precious few characters tend to become even more precious when the details come to mind regarding whatever the update is. Suddenly, the writer is scrambling to look for other words, characters, phrases, ect. to compensate for whatever features they now realize they can no longer use to properly and thoroughly convey their point while staying within the 140 character limit. This can be a frustrating task when the writer isn’t trying to spend a lot of time writing the update. At the same time however, it can also be frustrating in the fact that if they were to simply type out a quick and simple Tweet they may not make the point they’re effectively trying to make. The new change may just be a welcome remedy to that. Because with the new policy, Twitter excludes usernames from the character limit, those few characters may very well open up a whole new realm of possibilities with regard to successfully conveying a certain point in a person’s tweet. Of course, that still doesn’t mean that they’ll have unlimited space, but to someone looking for the right characters, words and phrases to make a point, the amount of space that’s usually reserved for usernames can make a big difference. Twitter’s CEO, Jack Dorsey, has repeatedly supported the 140 character limit, saying that it’s a ‘‘beautiful constraint’’ which encourages ‘‘creativity, brevity and speed.’’ Although in more recent statements, he has expressed more of a change in opinion stating that excluding the 140 character limit ‘‘is the most notable change we’ve made in recent times’’ specifically around the types of conversation opportunities provided by Twitter because making this change now affords users the full range of the 140 character limit, rather than limiting users to whatever is left of their character usage after coming up with an effective and acceptable username. 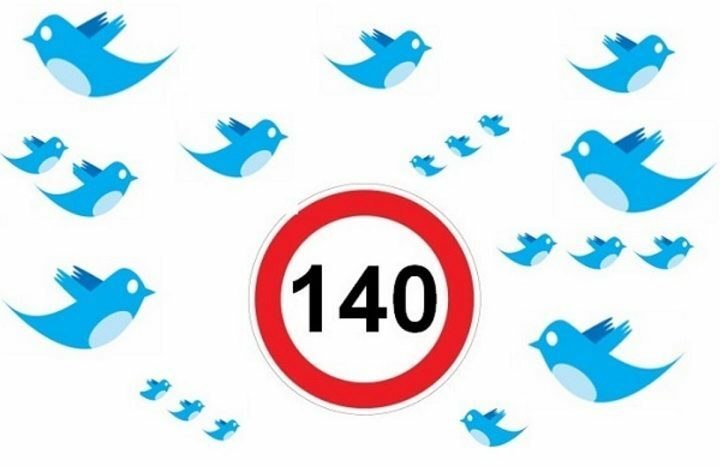 Because Twitter members aren’t always looking to simply leave an update but rather, have an actual conversation, the fact that Twitter changed its’ limit on direct messages last year from 140 to 10,000 was also a definite step in the right direction financially speaking. For ten straight fiscal quarters, Twitter’s revenue growth has declined - and a good possibility of the reasoning behind that is a lack of conversational options that are available to Twitter users. But in making moves like dramatically increasing word limit in direct messages and with the fact that now, Twitter excludes usernames from the 140 character limit in Tweets, these changes make Twitter’s services even more attractive to current and potential users - which is always key in trying to establish a steady stream of revenue. What do you think, will this change anything?